Providing pure vegetarian catering, whether it’s an intimate dinner or an elaborate reception. 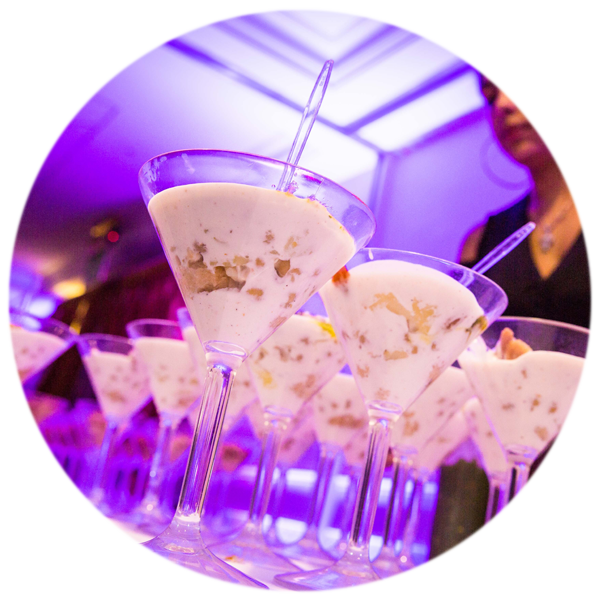 Whether it’s a corporate function, charity fundraiser or your dream wedding, our team can provide authentic taste and creative cuisine all delivered with a personal touch with you in mind. We offer a comprehensive range to suit all communities, preferences and religions. Our products are all cooked in-house and to the highest quality using the finest ingredients and providing freshly-cooked cuisine every time. We are proud to offer a range of services from silver service, buffet and religious catering to just food for your function. Your guests will be served with our professional and friendly staff ensuring that they are all looked after and served with the finest, most delicious food. Our standard package includes a three course meal of your choice and we can accommodate your requirements whether it’s palate, religious or dietary. Catering is a vital ingredient in creating a memorable experience with your guests adding to the occasion and creating bonding over delicious food. We are confident about our cuisine and once you taste Gokul you will not look elsewhere.